As my last post here hopefully makes clear, I like Onion Games' homage to Fantasy Zone, Black Bird, a whole heck of a lot. I like this Switch shoot 'em up (though it's also available via Steam) so much, in fact, that I've put more than 16 hours into it since I bought it a few weeks ago. Still, I'd say I know my way around the game pretty well at this point. That's what prompted me to publish the write-up you're reading now. Well, that and the fact that I've yet to come across a single English article or blog post or FAQ that shares tips, tricks, or tactics with players who are struggling to wrap their brains (and thumbs) around Black Bird's many gameplay elements. So, that's what you're getting here: every hint, tip, trick, and tactic I could think of after obsessively playing Black Bird for the last 15 or so days. 1. First and foremost, never forget that only the black bird's eye is vulnerable to attack--This is part bullet-hell shmup, after all. And that kind of thing (making just a small portion of your "ship" assailable) is par for the course for the sub-genre. Keeping that in mind should make Black Bird's boss battles, in particular, a lot easier--or at least a little less stressful. 3. The key to combos is to keep shooting enemies (and to not get shot yourself while doing so)--You've heard this game has combos, right? Well, they're one of the keys to getting the highest of high scores. Actually, they may be the key to getting the highest of high scores. At any rate, starting a combo is easy: just shoot and kill one of Black Bird's many enemies. (Yes, even though they're cute.) To keep a combo going, though, you have to continue shooting and killing them. But don't dawdle. You see that yellow gauge sitting just below the score in the upper-right corner of the screen? If that empties, your combo comes to an abrupt end. The same happens if even one of your foes' bullets hits your precious plumage mid-combo, by the way. So do your best to keep those projectiles at, uh, wing's length as you go about your murderous business. 4. And the key to upgrading your weapon is to keep grabbing gems--Sadly, I can't tell you how many of these gems, dropped by felled baddies, you need to grab to successfully upgrade your weapon. So grab as many as you can as you zigzag your way through Black Bird's wrap-around stages. 6. Use your bombs wisely--During my first handful of Black Bird playthroughs, I saved these eye-popping and often ear-splitting explosives for the final boss, mostly to make its last form a little easier. I still hold on to a few for that purpose, but now I use some within the levels that precede the climactic battle, too. Anyway, to get the most bang for your buck, don't drop one of these weapons of mass destruction until you've maxed out your combo meter. (You'll know this has happened when its text turns purple.) Also, I'd recommend against wasting any bombs on the first three bosses--even while tackling the game's "True" mode. With a bit of practice and patience, you should be able to beat them using regular bullets--or whatever shoots out of the eponymous fowl's beak. 7. Speaking of bombs, you can't have more than six in your inventory--And you can't have more than eight life bars at any one time. 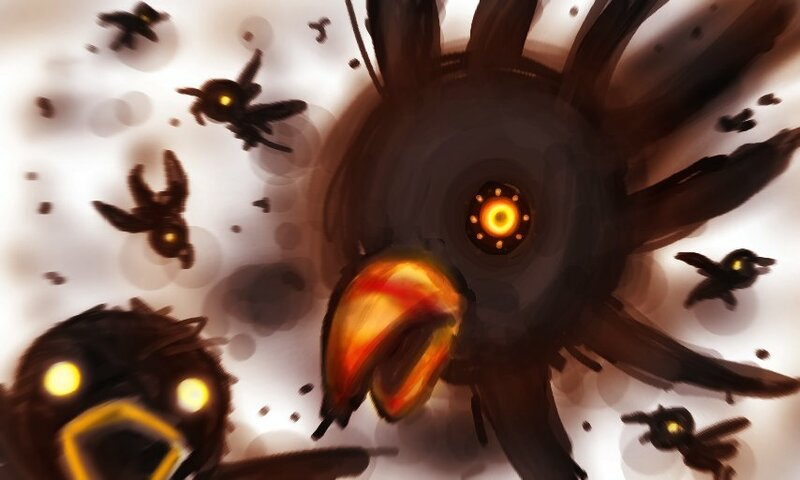 Keep that in mind as you collect the power-ups that pop out of Black Bird's grinning "curse pots." (They're the little brown bowl-shaped objects that tend to be hidden beneath the dirt, behind doors, and among tree branches.) You only get a handful of points for collecting another after hitting those limits, so aim for a different power-up instead. 8. Patience really is a virtue, especially during Black Bird's boss fights--All of this game's bosses do their best to tease you into being more aggressive than maybe you should be. The third one, Paladon, is a good example. If you go into that tussle with all guns blazing, your life meter is sure to suffer for it. A much better tactic is to stay calm and to time your moves and shots with the openings it eventually offers up. In other words, don't rush these battles. 9. Don't ignore practice mode--It's a good place to come to grips with the game's many components and to practice strategies without committing to a full playthrough. Sure, you can do the same in Black Bird's "normal" and "true" modes if you want, but why waste your time with that when there's a far more efficient option? 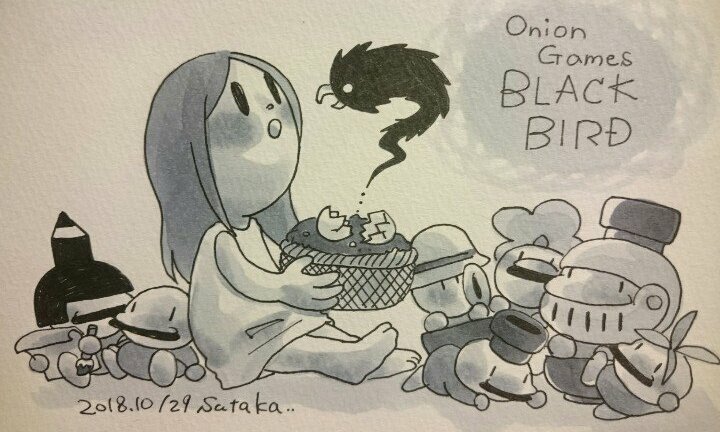 Have any of you played Black Bird? If so, share any of the hints, tips, tricks, or tactics you've amassed thus far in the comments section of this post.